Note: Where the owner of the bank account(s) already has access to the relevant company in AutoEntry, refer them to the self-setup guide. With Bank Fetching you can now automatically sync and download bank documents and transactions from your client's bank accounts into AutoEntry. 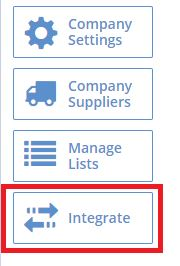 To set up Bank Fetching, select ‘Integrate’ from the main company page, then in the 'Other Integrations' tab select 'Connect' beside Bank Fetching. After reviewing and agreeing to the Terms of Service, you can facilitate a non-AutoEntry user (i.e. 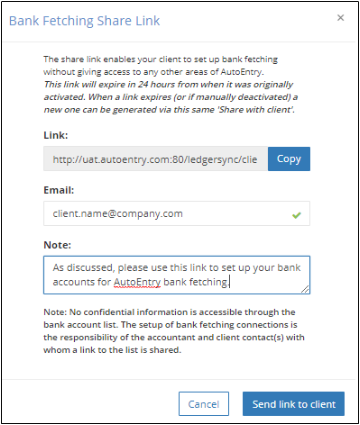 a client) to set up their bank accounts using the ‘Share with client’ button – the link provided by this process will give the client full access to the same ‘Account List’ as you see below. From here you can send the link directly to your client by simply entering their email address (and an optional note) – this will send your client an email containing the link and information on how to proceed with the setup. Note that for security reasons the link will expire in 24 hours from when it is originally activated. When a link expires (or if manually deactivated – see b) below), the resulting web-page will display a message “Bank Fetching setup link expired” and a note that a new one can be requested from the original sender (you! )…you can then generate a new one simply by selecting the same 'Share with client' button again. Otherwise the process for the client is documented in full here. The bank accounts that they add to the ‘Account List’ table will instantly be reflected in the same ‘Account List’ table within your own AutoEntry company. You will retain full access to the table should you need to perform any action in it – otherwise see here for how fetching works from this point. Once the ‘Share with client’ link is activated (as in a) above), a second button will appear to ‘Deactivate share link’. Selecting this will permanently deactivate the link that had been shared with the client – it should only be required on an occasion where the link has mistakenly been shared with the incorrect client contact. Note that no confidential information is accessible through the bank account list. 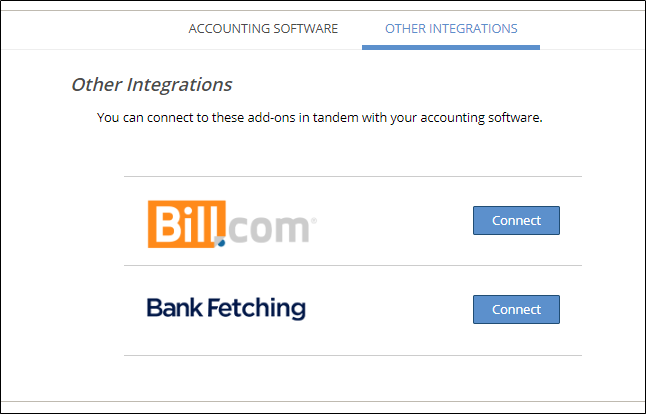 You can also choose to disconnect from Bank Fetching altogether from the same 'Other Integrations' page - this will remove all bank accounts from the list. Note that whatever bank documents/transactions that had already been downloaded into the Company Files/Bank Statements folders for these accounts will not be affected. Also note that disconnecting and reconnecting the same bank account will still incur the standard charge of 10 credits.